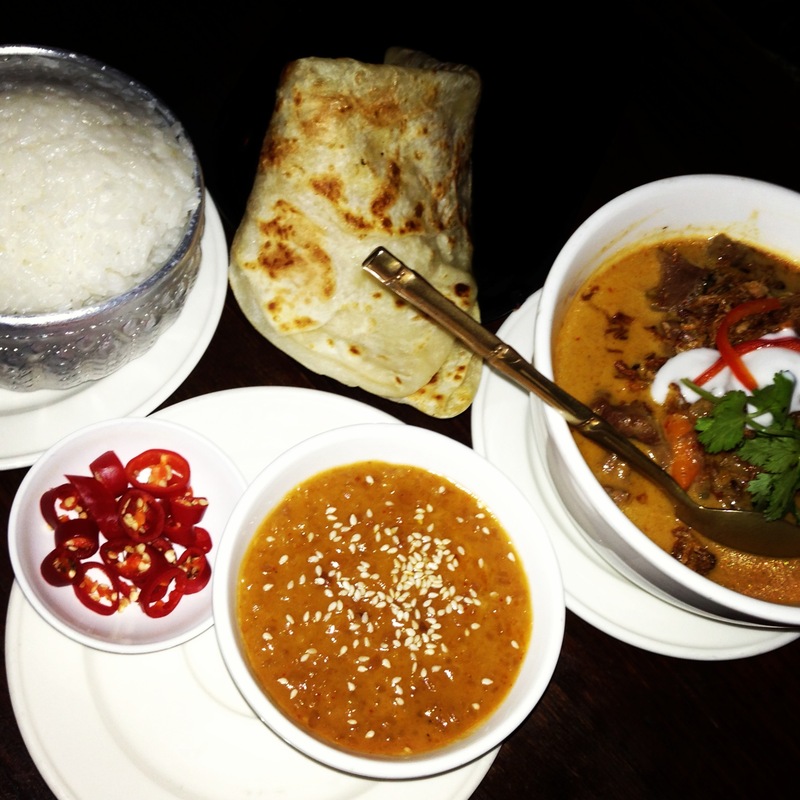 Patee Thai – Massaman curry, coconut rice & roti w satay sauce. I remember the first time I went to Patee Thai. My friend and I stumbled upon the Brunswick street store and were taken to a world of Thai culture that we were not then familiar with. Years later, after multiple visits to Thailand, I realised why this particular restaurant stood out. It was authentic and gave us a peek into Thailand’s beautiful culture by exhibiting humble food made with care which was affordably priced. After the great success of the Fitzroy restaurant, one was also opened on Chapel street in Prahran. It has the same vibe as the first venue and the same awesome food, the only difference for me is that it’s a little closer to home (same same, but different). This is one of my favourite Thai restaurants and everything I’ve tried on the menu is mouth-wateringly delicious (literally salivating as I write this). Patee Thai – Floor Seated Area. You can choose to be seated at a table with boring chairs or you can get right in, take your shoes off and sit on the floor. If you choose the floor option, there are cute cushions to sit on with triangular backrests to ensure a comfy stay. The only issue is that if you are like my bf (taller than the average bear) you may need to sit opposite a shorter person like me so you can stretch your legs out. Also, it’s probably not a good idea to wear your favourite shoes because you don’t want to spend your night entertaining the idea that someone might accidentally leave with them (negative thoughts clouding your subconscious can ruin your meal). Patee Thai – Roti and Satay Sauce. If you’re wondering what to order for the entrée you can always go the easy route and get the ‘mixed entrée’ where you get to try a variety of entrees. I adore the little ‘veg green curry puffs’ the pastry is really light and the filling is really tasty. Great starter. My friends think the vegetarian spring rolls are pretty awesome. The ‘garlic chive dumpling’ is yum, it’s sort of like a glutinous pancake with garlic chives served with a dark soy chili sauce. Yumm! And the satay skewers are good, partly because the satay sauce is amazing. The satay sauce goes with everything, with the skewers, with roti, with plain rice or even just by itself sluurrp. 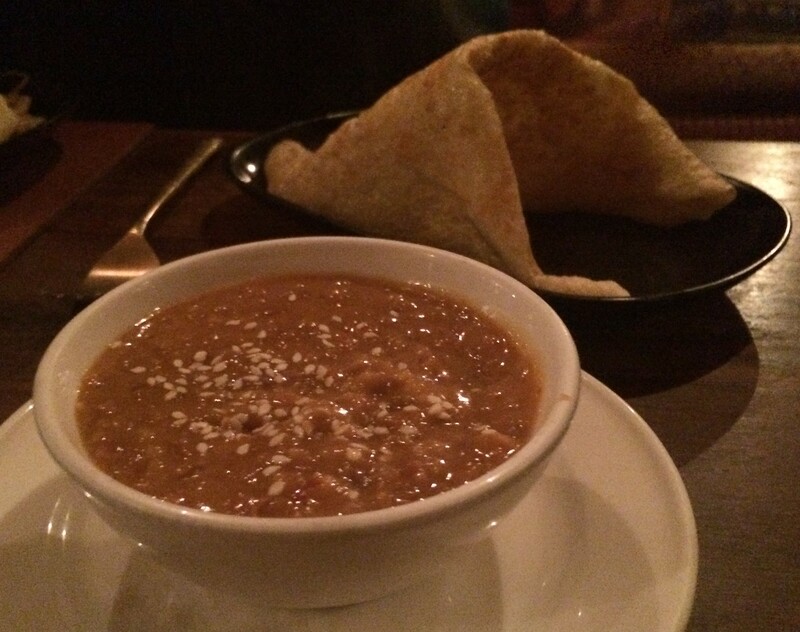 The roti is soft and subtly oily (which is part of its charm). It tastes even more delicious when eaten with copious amounts of the satay sauce. 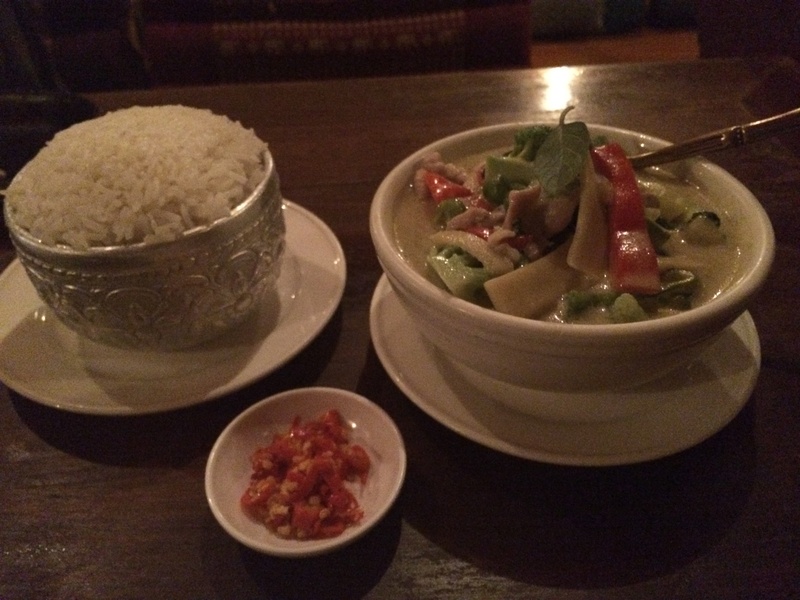 Patee Thai – Thai green curry w chicken. Patee Thai make a good curry. The ‘chicken green curry’ and ‘lamb massaman’ are my favourites. The green curry has an incredible balance of flavour and is the perfect consistency not too thick, not too runny, it’s just right. The massaman is thick and moreish. It has an intense depth of flavour. The authentic flavours take you straight to Thailand with each mouthful. The coconut rice is exactly the way I like it. It’s similar to plain steamed rice, just a little stickier with a sweet subtle taste of coconut. It taste delicious in its own right and it doesn’t take the spotlight off the main dishes. I always have to eat some just by itself om-nom-nom. It’s not milky or gooey like some coconut rice. It is a brilliant accompaniment to the flavoursome curries. Patee Thai – Pad Thai Noodles w Prawn. Patee Thai’s ‘pad thai noodles’ are the best and jam packed with flavour. I get the prawn pad thai noodles which have a few big juicy prawns, firm tofu pieces and crunchy peanuts with a squeeze of lemon to balance the flavours. It is absolutely delicious and completely authentic (except for when I get some cheeky broccoli added). Can’t go wrong with this dish, it’s remarkable every time. Some of the other yummy menu options are the ‘grilled marinated chicken’ with turmeric, coriander and peanuts. It’s like bbq chicken pieces with the skin on. It has a delicious smoky barbequed flame-grilled flavour. The ‘fish fillet with kaffir lime leaf sauce’ is boneless lightly battered fish fillet bites drizzled with a sticky palm sugar sauce. The mango chicken is always a crowd pleaser. It’s battered chicken pieces with a sweet mango sauce. The ‘cashew prawns’ are big and juicy with a kick of chilli, served on a sizzling plate and the fried rice is a tasty accompaniment to any of the dishes. 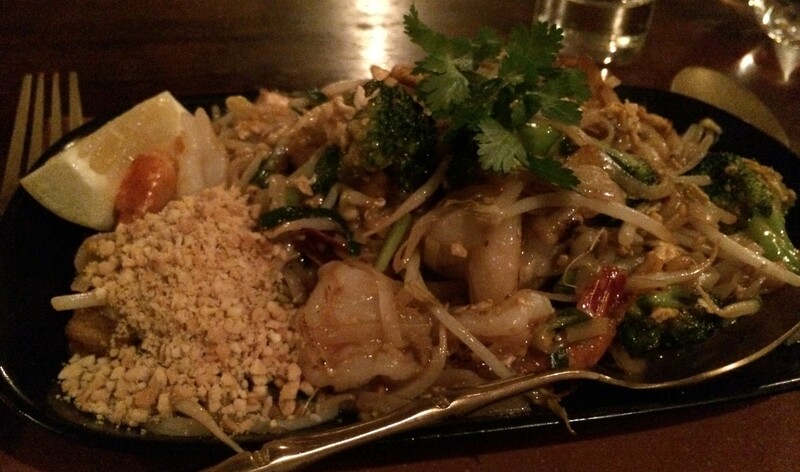 Patee Thai is one of those restaurants where everything on the menu is delicious. If you’re a fan of the green leafies, the fresh ‘Asian greens with garlic and oyster sauce’ will be a hit. It’s fresh and full of flavour. It’s a good dish to share as a side or if you want to make this dish more substantial, ask them to add a protein like chicken or tofu. My favourite dessert is the ‘Thai baked custard tart.’ The pastry is buttery and melts in your mouth and the custard is not too sweet. The Thai custard has a roasted coconut and palm sugar flavour, which is interesting and delectable. I appreciate the unpretentious plating, a simple slice of tart served with a scoop of ice-cream. Just like you’d serve it at home. And then sometimes you get a yummy after dinner chocolate mint with your bill. I recommend to eat-in or pick up your take-away order especially on a busy Saturday night, because in the past I have had a few unhappy delivery moments. But the food has never disappointed. It always hits the mark. 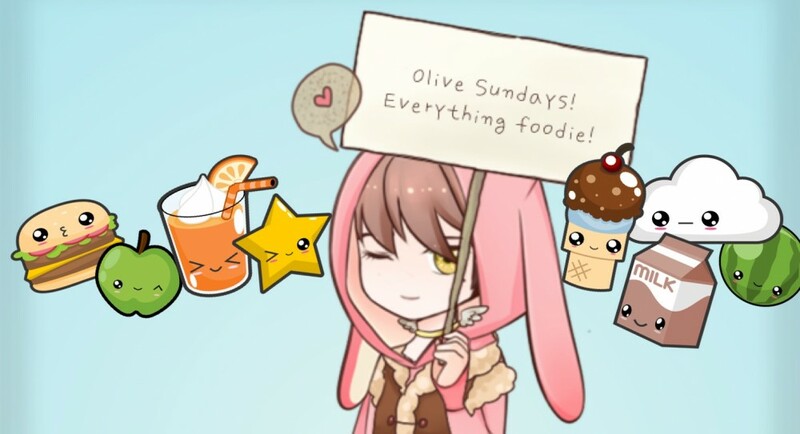 The food is reliable and always tastes the same. Delicious! The theme of the restaurant is traditional Thai, which is represented through not only the food but also the décor and the staff’s attire. I totally dig their gold puffy pants. The dim lights provide a calming atmosphere and when that is coupled with a full tummy it can make you feel very sleepy zzzzz. Patee Thai comprises the essence of what Thailand is to me. 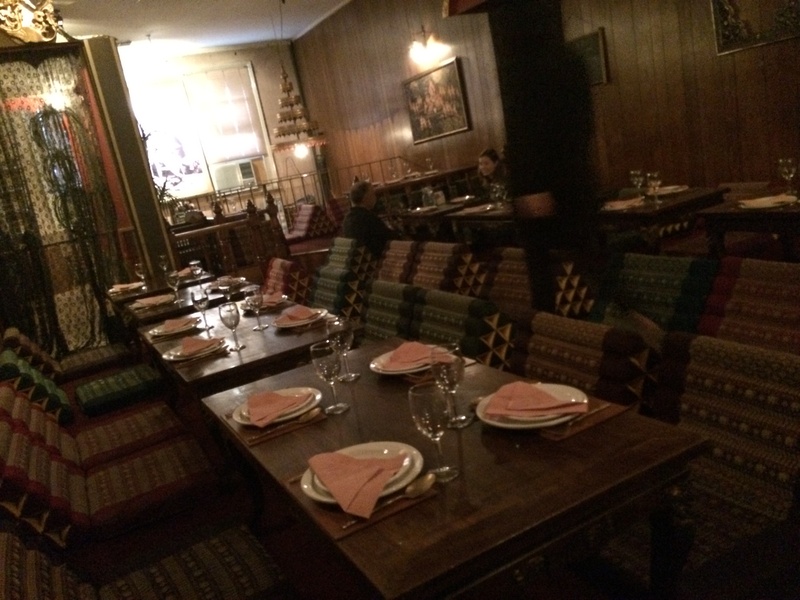 Good food, polite people and a calm atmosphere.